Home / Learning / Moving a Casualty – When and How Should You Do It? It is an unfortunate truth that everyday life can present circumstances that will lead us to have to help someone injured in an accident. Whether coming across an accident in the thoroughfare or a fallen hiker on the trail, you may be called upon to administer first aid and make decisions that could save a life. There are many factors which can impact your decision to move an injured person or leave them be until professional help arrives. It is vital to remember that the casualty may have injuries that you cannot detect by merely looking, like a neck or spine trauma. However, there are instances when you absolutely must move a casualty. Here is a quick guide on when and how to move an injured person. Ideally, a casualty should be left where they are until professional help arrives. It is perfectly reasonable to comfort them and provide necessary first aid to a victim where they lie. However, there are instances where imminent danger may force you to move a casualty. If the injured person must be moved due to danger in the area – smoke, fire, or violence – then follow the following steps to ensure you do it as safely as possible. Your head should be straight up to prevent straining your neck. Keep your back straight without hunching forward. Your center of gravity should be low with all bending done at the knees, leaning over will likely cause a back injury to yourself. Position the casualty, so their weight is close to your body, rather than reaching. Move with small steps to keep your legs and knees from injury. Stay balanced, as if you were athletic. Before you move a casualty when necessary, be sure to evaluate any obvious injuries they may have. If wounded and bleeding, try and control it first. If there is a fracture, immobilizing it first is ideal. If you must move a casualty, evaluate the safest way to move the injured person. If possible, enlist another bystander to help move the person. 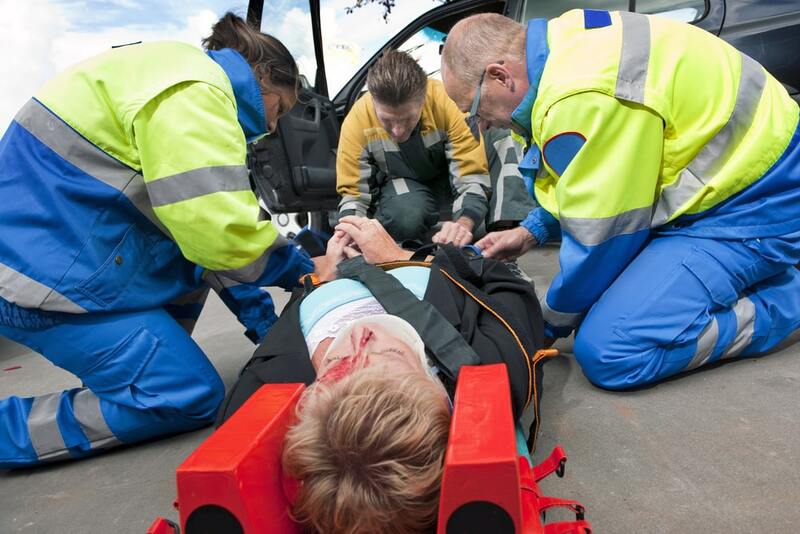 The goal is always to move a casualty without causing further harm to the injured person, or to yourself. Take the time to observe the situation and your surroundings. Then make your decision to move the casualty in the safest possible way. If first aid can be provided to an injured person without moving them, then leaving a casualty where they are is the most ideal scenario. If the casualty is in imminent danger, cannot be aided as they lay, or will incur further injury by leaving them, then move them as safely as possible. Follow the steps above to ensure the safety of both the casualty and you.